Lebanon’s Foreign Minister Gebran Bassil has said parts of neighbouring Syria are peaceful and stable, adding that his country sees no reason for Syrian refugees to remain on its territory. 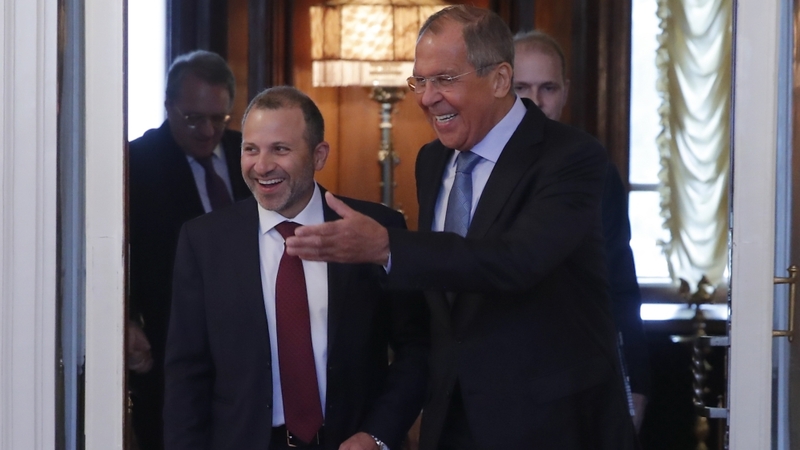 Bassil’s remarks at a news conference on Monday came after talks with his Russian counterpart Sergei Lavrov in Moscow. Several thousand Syrian refugees in Lebanon have started to return to their homes in Syria voluntarily in recent months. About one million Syrian refugees have been registered by the United Nations in Lebanon. Some Lebanese officials have been pushing for speedy returns, but the UN and human rights groups say conditions are still not safe in Syria. The Middle Eastern country also said it wanted Russian companies to compete in a new tender to develop oil and gas deposits in Lebanon. The project would encourage regional stability if a Russian company successfully secured the tender, Bassil said. He also said Lebanon should serve as a platform for the economic revival of Syria, and ensured Beirut would coordinate its efforts with Moscow, the Interfax news agency reported. Lavrov has also asked the secretary general of the United Nations why the organisation is not participating in Syria’s reconstruction. Russia has been attempting to garner international support for the reconstruction of war-torn Syria. On Saturday, Russian President Vladimir Putin spoke about international reconstruction efforts and the humanitarian situation in Syria with German Chancellor Angela Merkel in Berlin. “It’s important to help those areas that the refugees can return to,” said Putin, whose decision for Russia to militarily intervene in Syria’s conflict in 2015 tilted the odds in favour of Syrian President Bashar al-Assad who has regained large swathes of land from armed rebel groups. “I think it’s in everyone’s interests, including Europe’s,” Putin had said.